Even if you’re traveling to and from Thailand on a bargain-basement discount coach ticket, you can still get set up for some VIP treatment while you’re at the airport. None of these suggestions are free, but they can add a bit of value to your trip depending on what your traveling circumstances are. Most Bangkok airport lounges require that you have a business class ticket or high status with a particular airline to gain entry. 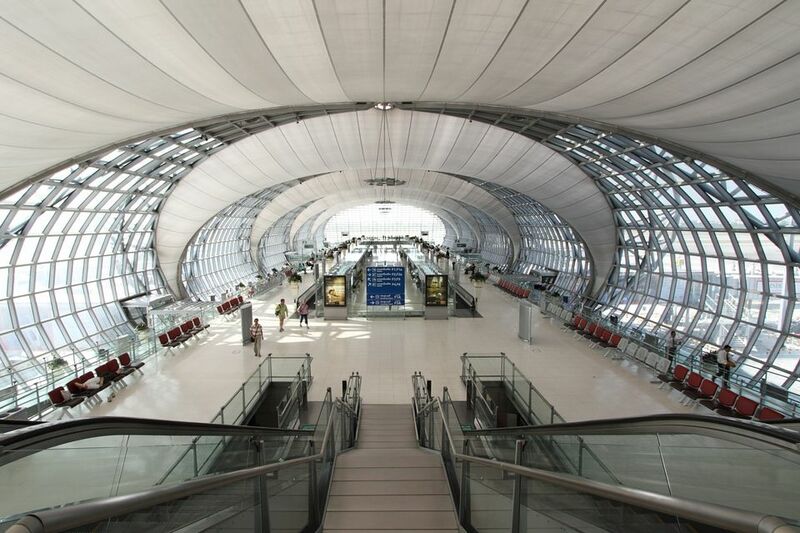 But a number of little-known options still exist at Bangkok’s Suvarnabhumi Airport for travelers who have neither one. Unfortunately, this isn't the case at Don Muang Airport, but this is a budget no-frills airport, to begin with. Whether these lounges are worth the extra cost is a personal choice, but if you find yourself really early for a flight with nowhere to go, it can be nice to have a comfortable place to hang out—especially if you’re getting ready for a long, cramped flight back home. Suvarnabhumi has six business/first class lounges in its international terminal. Run by Louis’ Tavern CIP Lounge and used by some airlines as well as by the American Express Platinum Priority Pass program, they can be accessed for a reasonable fee. They're not as nice as some of the best business class lounges and they're much smaller, but they offer the same basics: Relative privacy, quiet space, refreshments, and showers. All are open 24 hours a day and have comfortable couches and seats. They offer alcoholic and non-alcoholic drinks and snacks. The bars are limited, but they do have beer and wine. Shower rooms and private areas are available for napping, and there are free Wi-Fi and televisions. If you reserve and pay online ahead of time, you can get a discount. And think of it this way, you're not actually paying a premium for privacy and a comfortable place to relax if you factor in the cost of a couple of drinks. One of Suvarnabhumi Airport’s best-kept secrets is the King Power Airport Lounge, a VIP lounge. It has very comfortable seating, snacks, and alcoholic and non-alcoholic drinks. This lounge is reserved for loyalty card holders of the airport’s large duty-free retailer, King Power. The good news is that you or anyone else can become a member instantly for a fee. You'll receive a voucher for duty-free goods plus discounts and lounge access, too. There's only one lounge on the east side of the airport near Concourses A, B, C, and D, so this option might not make sense if you’re leaving from the other side of the airport. But if you do happen to be on the King Power Lounge side, it’s the nicest nearly-free lounge experience of any airport in the region. If you happen to be flying on Bangkok Airways, you have access to either their domestic or international departure lounges in Suvarnabhumi Airport. These lounges offer many of the same amenities as the others—drinks, snacks, comfortable places to sit, free Wi-Fi, and televisions. But there’s one thing you won’t find in Bangkok Airway’s lounges—alcoholic beverages. Both lounges are in the Concourse A area on the east side of the airport, which is where most of their flights depart. Bangkok Airways is a premium airline so airfare prices are always a bit higher. But if you happen to be flying with this airline anyway—and it's your only option for some routes—you might as well enjoy the comfort.